Book Bites is Cooking the Books‘ more easygoing cousin. Authors talk about their book and share a recipe, all in one tasty bite. Jeannette Ng is a novelist, a dabbler in: history, costume design, hair wizardry, and amazing book-nails. Her new novel, UNDER THE PENDULUM SUN debuts from Angry Robot on October 3! Welcome, Jeannette! 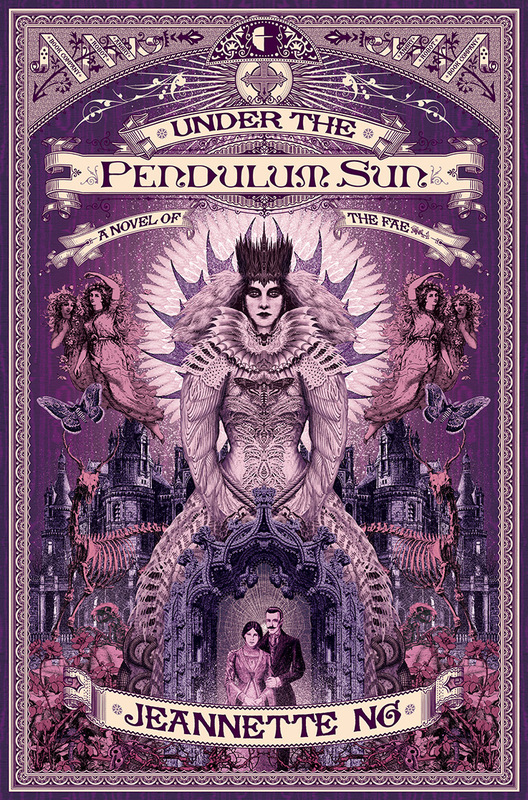 UNDER THE PENDULUM SUN is set in an alt-Victorian world where Arcadia, the land of the fairies, has been newly “discovered” and the book concerns the rather gothic fate of two missionaries who have journeyed there. As such, the food within is based heavily on real world Victorian recipes, though sometimes with an unsettling fairy twist. Here are two that appear in the novel itself. The first is Excellent Negus, which isn’t the only recipe for negus from William Terrington’s “Cooling Cups and Dainty Drinks: collection of recipes for “cups” and other compounded drinks and of general information of beverages of all kinds”. Negus is essentially a mulled wine except with milder spices and a fortified alcohol as its base. It was extremely popular in Victorian era. It is drunk by a great many characters in classical novels, including Charlotte Brontës Jane Eyre and Emily Brontë’s Wuthering Heights. Laon Helstone mixes negus out of communion wine. Like all byronic heroes, he is drawn to the bottle. He and Cathy joke about the extravagant use of ambergris in certain recipes like this one. Ambergris, I confess, is one of those substances I just find inherently humorous given that it is essentially whale vomit. All to be made and drunk warm. The second recipe is of frozen grapes. I came across this when Serve It Forth, the historical catering collective my partner leads, were doing prep for Emma Newman’s The Split Worlds Masked Ball. They were trying out the various Regency recipes before the event itself and among them were the frozen grapes. They had plans for a showy centerpiece with dry ice but the venue ultimately vetoed that. The ball and the events of the ball eventually made it into All Good Things. The frozen grapes also appear at a fairy ball in my book, from which I could but conclude is a delicacy among them. Frozen grapes are also just really, really easy to make and are very refreshing on a hot summer’s day. Serve It Forth still regularly serve it at hot events and they are very well received. 1) Put Grapes in Freezer. It should take about half an hour to freeze. You want them about half solid rather than ice cubes. 2) Zest one Lemon and one Lime. This is basically grating the skin of a lemon. A fine grater or even a potato peeler will do the trick. Careful not to go right into the white because that is the bitter bit of the lemon. Weigh out some caster sugar and mix it with the zest. There’s an option here to have one bunch of grapes be lime and one be lemon in flavour if you split the sugar. Take the half frozen grapes out of the freezer. Let them sit for about two minutes on the serving platter, until they develop slight condensation. This allows the sugar to adhere better to the grapes. I’ve been made aware that American grapes are a different species to European grapes. I see no reason you can’t freeze American grapes, but I’ve just not done it before and it will likely taste slightly different. Most medieval recipes end with the phrase “Serve it forth”, hence the name of the catering collective. Catherine Helstone’s brother, Laon, has disappeared in Arcadia, legendary land of the magical fae. Desperate for news of him, she makes the perilous journey, but once there, she finds herself alone and isolated in the sinister house of Gethsemane. At last there comes news: her beloved brother is riding to be reunited with her soon – but the Queen of the Fae and her insane court are hard on his heels. 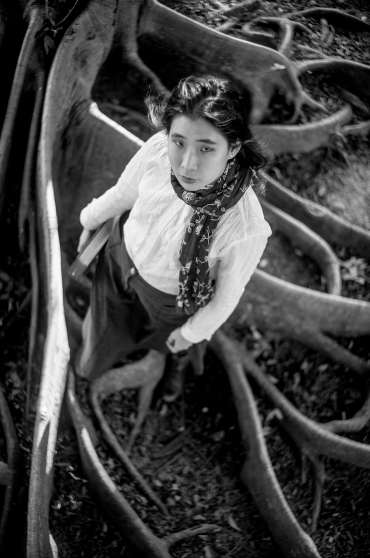 Jeannette Ng is originally from Hong Kong but now lives in Durham, UK. Her MA in Medieval and Renaissance Studies fed into an interest in medieval and missionary theology, which in turn spawned her love for writing gothic fantasy with a theological twist. She runs live roleplay games and is active within the costuming community, running a popular blog. Many thanks as always to the excellent Kathryn Martin for her help assembling Book Bites & so much else. Previous Book Bites: Kat Howard – Do You Take Sugar?